Gathering My Roses: Fantasy Jewelry Box: Review & Giveaway! CLOSED! Fantasy Jewelry Box: Review & Giveaway! CLOSED! Not long ago, Liz and I were blessed to host a review and giveaway of Fantasy Jewelry Box for our readers. We had such a great time and it was very successful -- so the wonderful folks at Fantasy Jewelry Box have offered one of our readers another chance to own a beautiful piece of jewelry of their very own! Today, Liz and I are reviewing Ava's Canary & Diamond CZ Three Stone Ring You'll make heads turn with this unique three stone ring featuring a 2 Carat canary yellow cz center stone and 1 Carat diamond cz cubic zirconia side stones. Crafted in .925 Sterling Silver and detailed with 18 carat gold plating, this ring is sure to cause loud gasps of awe...and maybe even a little jealousy! It's absolutely stunning. 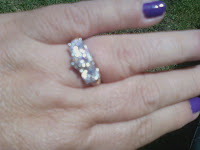 It's gleams and sparkles in the sunshine and I've had so many people ask me about it. 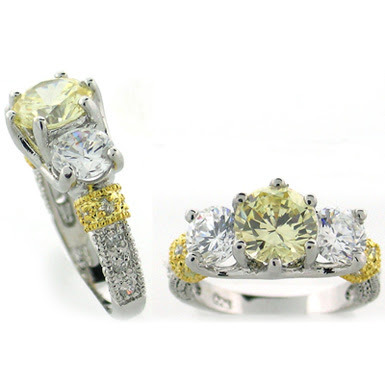 The centre stone is a pale canary yellow and sets off the diamond cz side stones perfectly. The 18 carat gold-plating detail on the side gives it that bit more pizzaz and style! Fantasy Jewelry Box is providing thee winner of this giveaway the opportunity to pick out a $35 or under item from their website and Fantasy Jewelry Box will send it to them! MANDATORY ENTRY: Visit Fantasy Jewelry Box and tell me which piece of jewelry ($35 or less) you'll choose if you win, please leave a link to that item! 1. Follow Fantasy Jewelry Box on Facebook and post on their Wall -- tell them Terri & Liz from Gathering My Roses sent you! 9. Grab our button and post it on your sidebar or favorite's page! This contest will be open from Monday, June 7th until Monday, June 21st. Winner will be announced on Tuesday, June 22nd. DISCLOSURE: We received a complimentary Ringfor the purpose of review. We were under no obligation to review this item. We did not receive any monetary compensation. The opinions expressed herein are our own and based on our own personal use of and experience with the item. I'd love to get the Erin's Elegant Amethyst CZ Teardrop Necklace if I won. Thanks so much. I'd love to have June's Dainty Sapphire Blue & Imitation Diamond Ring. I'd get the red Bella Bali style ring. I love Karla's Elegant Genuine Pearl Ring. I'd love the "Rochelle's Floral Antique Style Silver Cuff Bracelet"
I love the Florina's Silver Heart Scroll Design Cuff Bangle! Thanks! I like Lynn's Vintage Teardrop Earrings. I signed up for the free Fantasy Jewelry Box Newsletter. There's so much awesome stuff there!! But this, I could use everyday, almost! The faux pearl stretch bracelet set! I absolutely love the Alyssa's Sterling Silver Cubic Zirconia CZ Flower Ring! I would choose the Amelia's Aqua Blue CZ Chandelier Earrings. I love so much of their stuff! 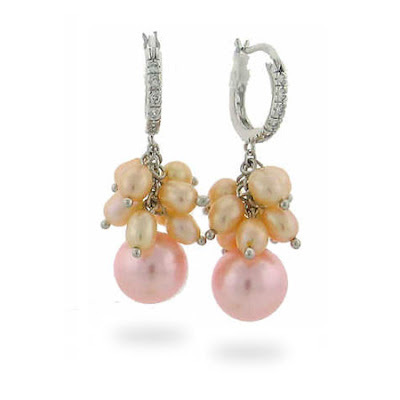 I'd probably get Cassidy's Celebrity Style Pink Briolette Dangle Earrings. tinycandi at gmail dot com. I "like" Fantasy Jewelry box on facebook. I'm following Gathering My Roses via Facebook Networked Blogs. I'm a fan of Gathering My Roses on facebook! Put your button in my sidebar. Check it out! Della's 12 Piece Multi Color Bead & Bangle Set. I am a huge fan of fantasy jewelery box! I love the Marisel's Silver Woven Knot Bracelet! Oh my goodness! 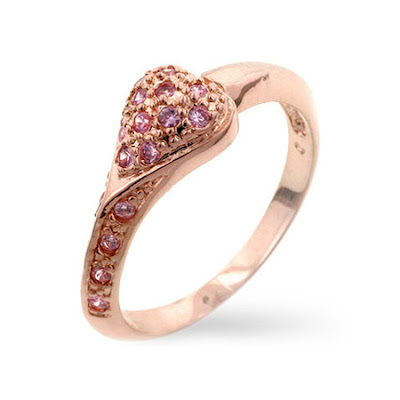 The Sparkling Blue Butterfly Ring please! I'm going through a hippie-child phase right now :) All things floral and frilly! Its so beautiful and definitely makes a statement! I am a subscriber of Gathering My Rose and Fantasy Jewelry Box blogs/newsletters. I am a fan of Jwelry Box on facebook. I shared the contest with over 400 friends on fb. I would love to win so I could buy the "Cydney's Silver Imitation Diamond Chain Link Ring." So pretty! I'm a FantasyJewelryBox. FB Fan~ Jennifer L.
I also entered the Community Coffee giveaway. I would get the Annalisa's 14K Gold Plated Emerald Cut Eternity Ring. Following them on FB and wrote on wall. I am following Gathering My Roses via Facebook Networked Blogs. Tweeted about this great giveaway. I would choose the Elise's Chunky Turquoise Bead Bracelet. and it's on sale for $28! What a great deal! Thanks so much for the chance! i would TOTALLY choose the Brenna's Gold Hammered Square Bracelet! I entered your Shepherd's Watch giveaway! I entered the Shepherds Watch giveaway. I love the Astrid's Silver Slithering Snake Bracelet. I love the Elena's Fine Emerald Green Princess Cut Necklace. I like Clara's Luxurious Round CZ Stud Earrings. I'm following FantasyJewelry on twitter giveawayjunkie. I'm following GeorgiaMist on twitter giveawayjunkie. I would choose the Designer Style Sterling Silver Floating Heart Necklace. I entered the Pearl Paradise giveaway. Jackey's Natural Turquoise Stone Stretch Bracelet is my fave. I follow you pubicly on google friend connect. I also entered your Community Coffee Traditional Blends Gift Crate with 16 oz. dark roast ground coffee, canister, coffee scoop and tumbler giveaway.